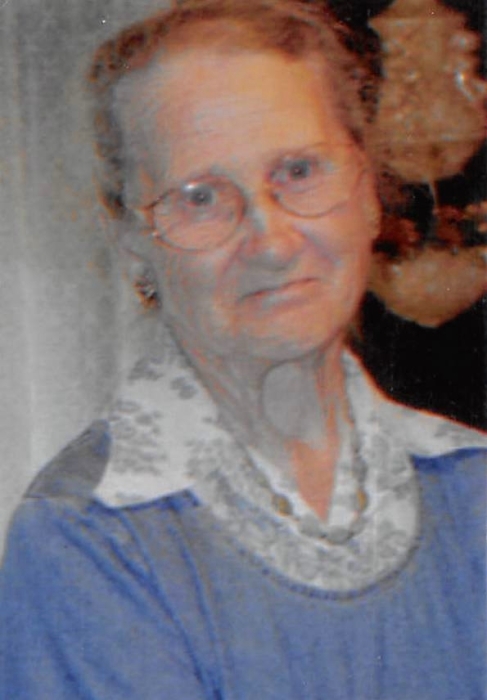 Gypsie Long Caudill, 94, of Ingrams Creek passed away Wednesday January 23, 2019 at her residence. Gypsie was the daughter of the late Delmon and Nora Roark Long. Surviving are 1 Son: Stanley Ray Caudill of Cowan; 1 Daughter: Lana Marie Gresham of Shelbiana Ky. 1 brother: Odell Long of Gordon; 3 grandchildren: Seth Williams, Brian Williams, and Carly Caudill; 4 great grandchildren: Mahala Williams, Willow Perkins Williams, Oliver Perkins Williams, and Apollo Vanderpool. Gypsie was preceded in death by a daughter: Linda Mahala Williams. Service 11:00 A.M. Saturday January 26, 2019 at the Letcher Funeral Home Chapel with Johnny Banks officiating. Visitation 6:00 P.M. Friday January 25, 2019 at the Letcher Funeral Home Chapel. Burial will follow in the Family Cemetery at Linefork, Kentucky.